Matthews operates under a council-manager governance; this means we have a Town Manager who works alongside the Board of Commissioners (also known as Town Council). Do you know who is on the Board of Commissioners and what their jobs are? 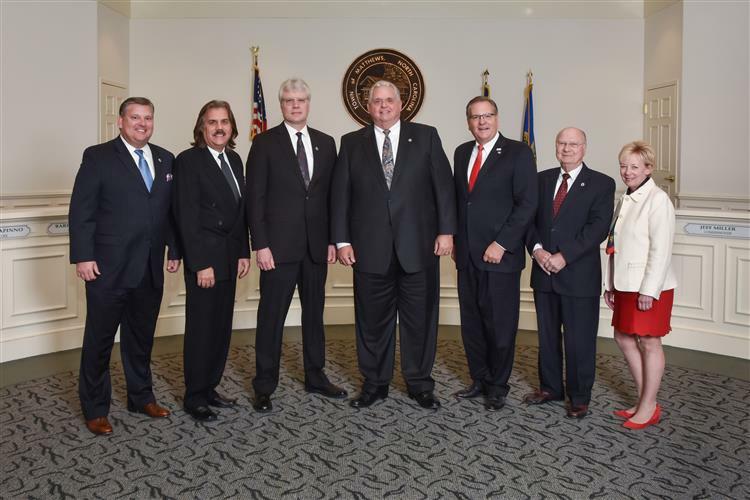 Matthews is governed by a Mayor and a six-member Board of Commissioners. There are 2 political races to fill these roles: one for Mayor and a separate for the 6-seat Board of Commissioners. Both mayor and the board are elected every 2 years in a non-partisan race, and all of the seats are at-large, meaning no member of the board represents one segment of Matthews. The council member with the greatest number of votes is appointed as Mayor Pro Tem and serves as mayor in the absence of the elected mayor. What do they do? The Board of Commissioners works in conjunction with the Town Staff to ensure all aspects of the town run smoothly. The Board's job is, among other things, to provide leadership by representing their constituents, provide direction toward the Town's future, and approve the annual budget with consideration for property tax rates. Serving on the Matthews Board of Commissioners is a part-time position, has a salary of $5,500 annually and a technology allowance of $3,600 per term. The position does not include benefits. Town Council meetings open to the public and are held the second and fourth Mondays of every month at 7 p.m. at Town Hall, 232 Matthews Station Street. If you cannot attend a council meeting, recordings are available by request, from Town Clerk Lori Canapinno. Older PostWelcome to the Beacon!